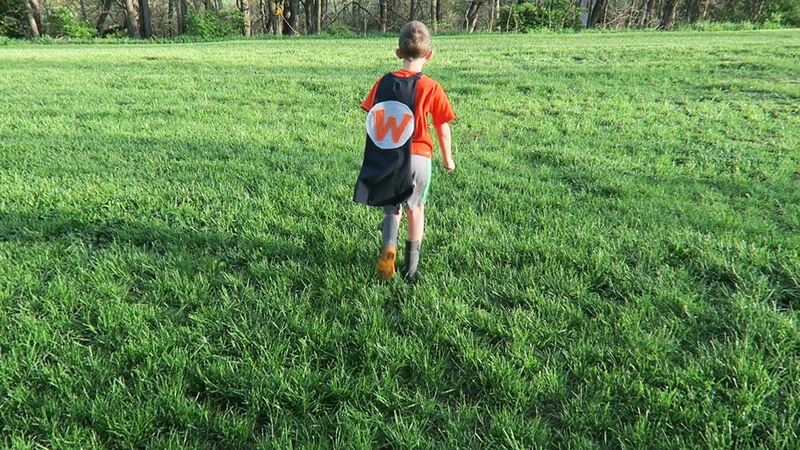 I love quick and easy projects, and this cape is no exception - yes, it's NO SEW! 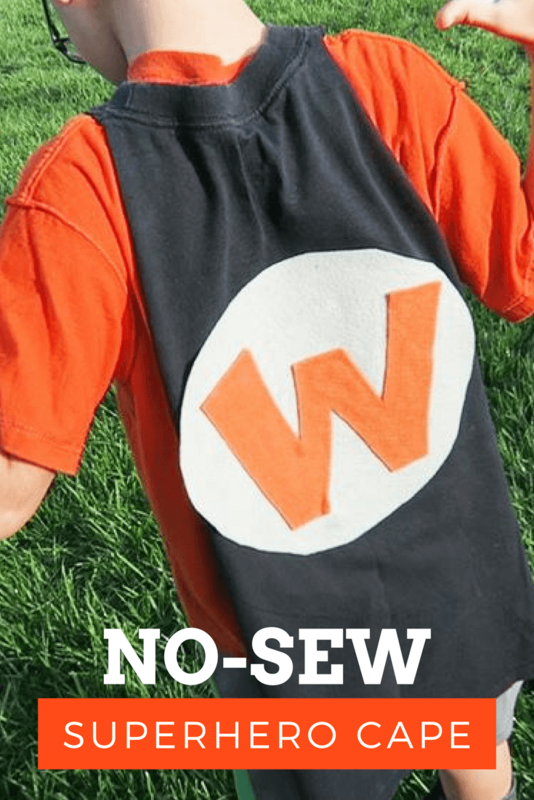 And it's fun to customize to your kiddo with their monogram and favorite colors. First cut out the back of the shirt by cutting from the bottom back corners up to the neckline. Cut around the whole neckline, front and back. This will leave the neckline attached to the back of the shirt, for easy on-off of the cape. 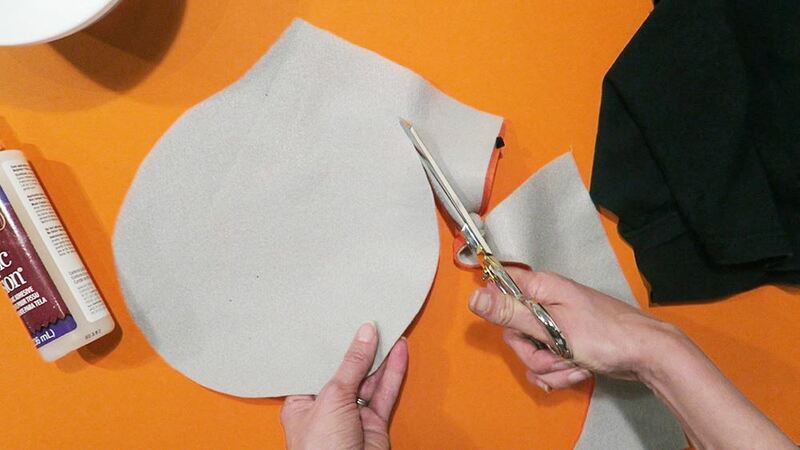 Cut the felt into a circle. Cut a contrasting piece into a monogram. 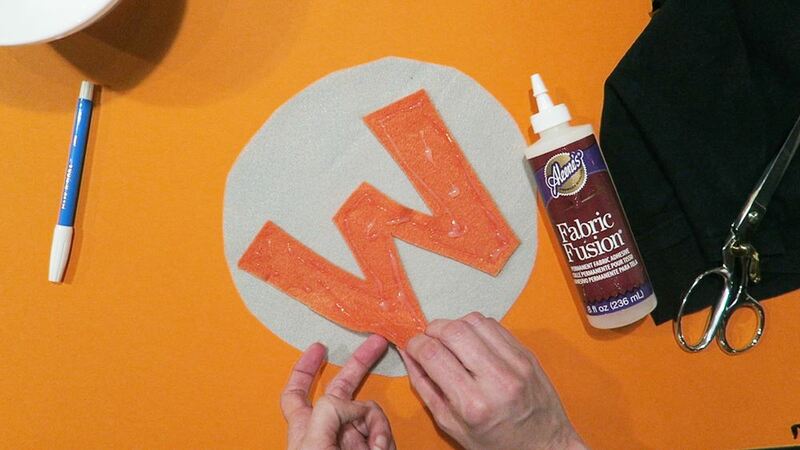 Using Fabric Fusion, glue the monogram onto the circle. 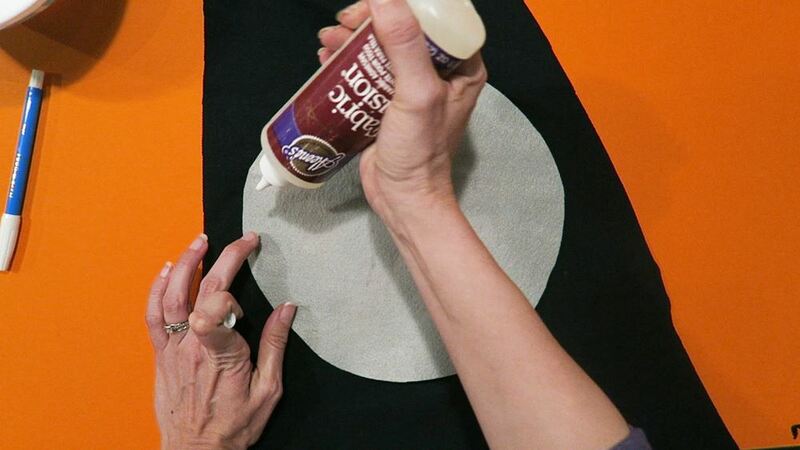 Then using Fabric Fusion, glue the circle (with the monogram attached) to the cape. 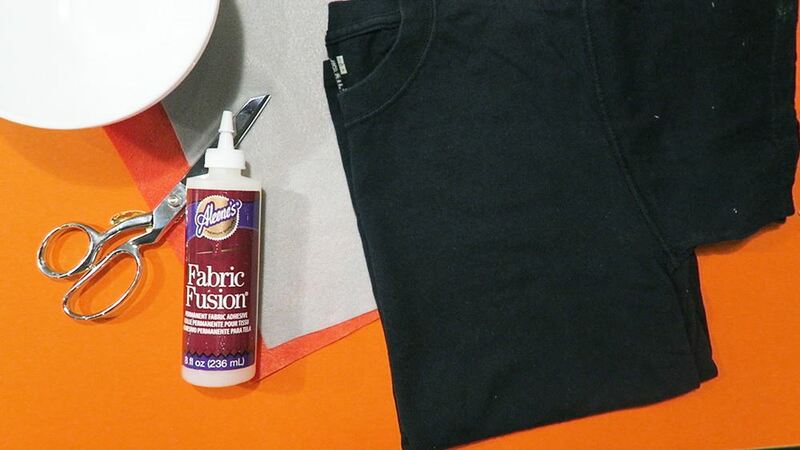 Place a heavy object over the felt to put pressure on it while it dries. That's it! Wear and enjoy! !